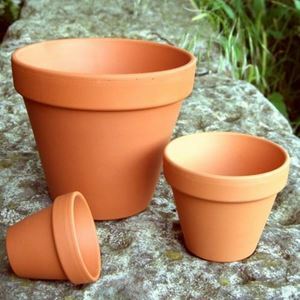 Terracotta Ribbed-design Flowerpot bowls for indoor or outdoor use. 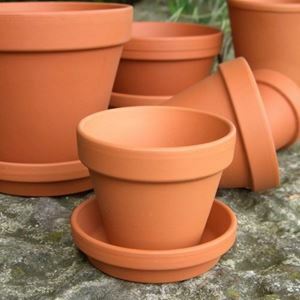 NB These bowls do not have a drainage hole in their bases. 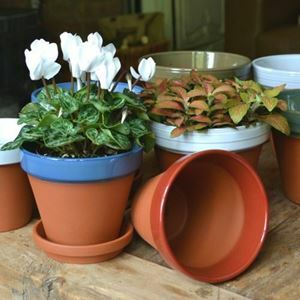 These bowls are not just for gardens, but also have multi-uses from painted craft pots to baking bread.